Happy Canada Day and happy 4th of July! Hooray for countries being independent (even though Canada is still part of the commonwealth under the queen BUT WHATEVS!) I hope you all had a great week. Start off your holiday weekend by drinking some Labatt Blue and ginger ale whilst consuming some delicious Interweb snacks. Have a great weekend and I’ll see you next week. 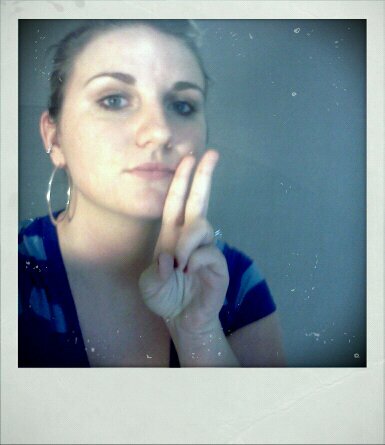 Peace, lovers! Unflattering Buffy Screencaps. HAHAHAHA. Any other ex-Buffy addicts out there? This. Is. Amazing. Annnnd another for The View. Lately, I’ve found myself a bit restless about “right now.” I’m surrounded by friends who are pairing off, getting pregnant, going to grad school and/or seminary, starting new jobs, moving… and, I know that God has huge plans for me and my family. Eventually. But right now, I’m stuck in limbo, and it is making me anxious. This article was exactly what I needed to read to calm my nerves. Paralyzed cat takes swim takes swimming lessons. I cannot stand how adorably sweet this is. Here Comes the Groom: a Conservative’s advocacy for gay marriage in 1989. What a forward thinker for his time, no? I try to actively not give a crap about Kate Middleton, but she does rock some awesome fashion. A sad, sad story about a set of twins battling anorexia. I know a lot of my friends compare themselves to others they find on social media. This is definitely an issue worth talking about. I was just talking to a friend about how much I miss London. THIS IS NOT HELPING. This makes me feel icky. UGH. As if you needed any MORE reasons to ditch the Diet Coke, IT MAKES YOU FAT. This is so sweet and nostalgic. Awwww. I really have no fashion sense, but this TED talk made me think that maybe I can learn! You Don’t Love Yourself If… As a self love blogger, I get convicted of this all the time. It’s nice to know I’m not alone! Hooray for Pixar showcasing a curly-haired heroine!